The more weight you can lose, the better you will inevitably feel. The longer you carry around excess weight, the harder you will find it to avoid serious health consequences. Some people work very hard to lose weight; only to discover they have a thyroid issue that may be working against them. Before going any further through this article, consulting with a Thyroid Pharmacist is the best way to find out what can be done to fix the issues with your thyroid. There are many things you can do to get over the hump in your weight loss journey even with these types of issues. The following are some of the things you should consider when trying to lose weight with a thyroid problem. If you find yourself hitting a wall with your weight loss due to a thyroid problem, the first thing you need to consider is changing up your diet. The exact diet that you need to follow will depend on a variety of different factors. Things like your physiology, the ability you have to absorb nutrients and the various food sensitivities you have should all be considered when trying to choose a diet. Eliminate carbs from your diet is one of the main pieces of advice offered by the team at Keto Resource. By eliminating carbs, you will be able to fill your body with whole foods that are rich in vitamins and nutrients. If you are unsure about what type of diet you need to be on, consulting with a dietician who is familiar with thyroid issues is important. Whether you have an under-active or hyperactive thyroid, finding the right treatment is essential. Without an adequate treatment for this issue, you will find it nearly impossible to have success with your weight loss journey. The last thing you want to do is ignore the signs that you have thyroid issues. If you are feeling tired and achy, it may be caused by hyperthyroidism. Acting as soon as you notice signs of thyroid issues will allow you to get the treatments you need in a hurry. Once you have found the right treatment, you will have no problem seeing gains in the gym. While a diet overhaul is a great foundation for weight loss for people who have thyroid issues, there are still a number of things that have to be done for a person to start losing weight. Finding natural ways to boost your metabolism is a great way to get your body into fat burning mode. There are a number of exercises out there that are designed to give your metabolism a boost. Doing things like lifting weights, walking or running and Pilates is a great way to optimise your body’s metabolism with ease. Consulting with a fitness expert is a great way to get more information regarding how to increase your body’s metabolism via exercise routines. Another problem that can lead to your inability to lose weight is a lack of water. By consuming more water, you will be able to help your body’s metabolism work more efficiently. Consuming more water can also help to reduce your appetite as well. Getting more fiber in your diet is also a great way to lose weight with a thyroid problem. This increase in fiber can come from food or supplements. Be sure to consult with your primary physician for guidance on how to increase the fiber in your diet. They should be able to take your particular set of circumstances and help you select a fiber-rich diet that is easily followed. The time you spend working with your thyroid doctor will pay off when you start to see those unwanted pounds fall off. Among the most crucial factors to focus on when attempting to lose weight is getting the right amount of sleep. There are a number of studies out there that directly link sleep deprivation with slowed metabolism. A nearly 16 year study found that people who sleep only five hours or less a night were over 32% more likely to experience significant weight gain. A number of practitioners out there recommend that thyroid patients skip their morning workout and in instead use this time to get more sleep. If you are having trouble sleeping at night, you need to get to the bottom of this problem immediately. With the help of an experienced medical professional, you should have no problem finding and fixing the issues that are affecting your sleep. The way your body experiences hunger has a lot to do with your brain chemistry. When the hypothalamus part of your brain senses you need more energy, it will send a message to your body that you need to eat something. There are a number of factors, like thyroid problems, that can lead to your brain chemistry being altered and your hunger response being increased. Often times, a thyroid problem will cause your brain to set a lower than normal appetite level. This means you will actually take in more food than your low metabolism can handle. By doing this, you will be setting the stage for increased weight gain. Working with your doctor to figure out what type of medications can be taken to fix this issue is imperative. While it may require a bit of trial and error to find the right medications, it will be worth the work you invest. Neglecting to address the changes in your brain chemistry will ultimately stack the deck against you when it comes to losing weight with your thyroid issue. With a bit of hard work and motivation, it will be easy to lose weight even with a thyroid problem. 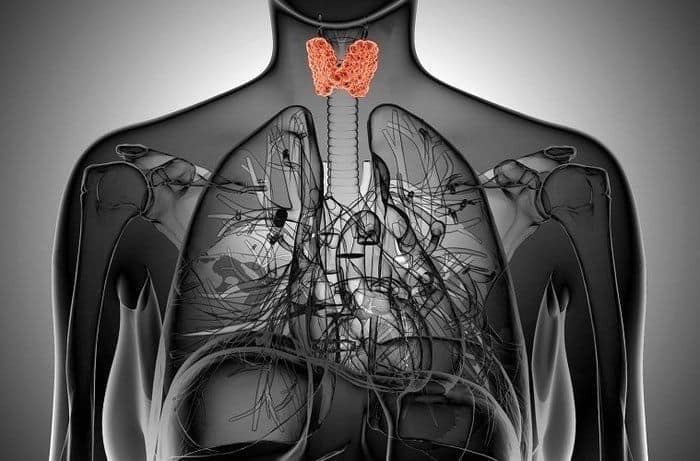 Are you suffering from a thyroid problem and can’t lose weight? Leave a comment below. What diet programs beside keto is viable?